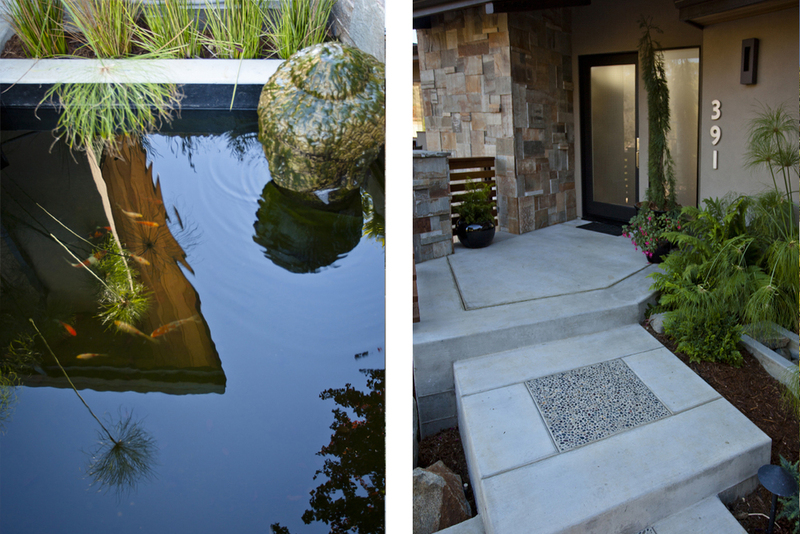 Siverson Residence — Isaman design, Inc. 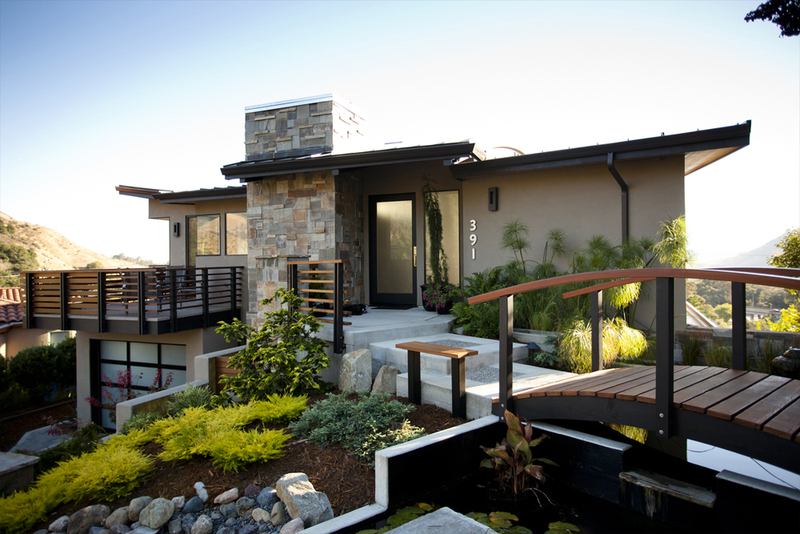 This single family residence was a major remodel and addition aimed at recapturing the beautiful views of the surrounding San Luis Obispo topography. 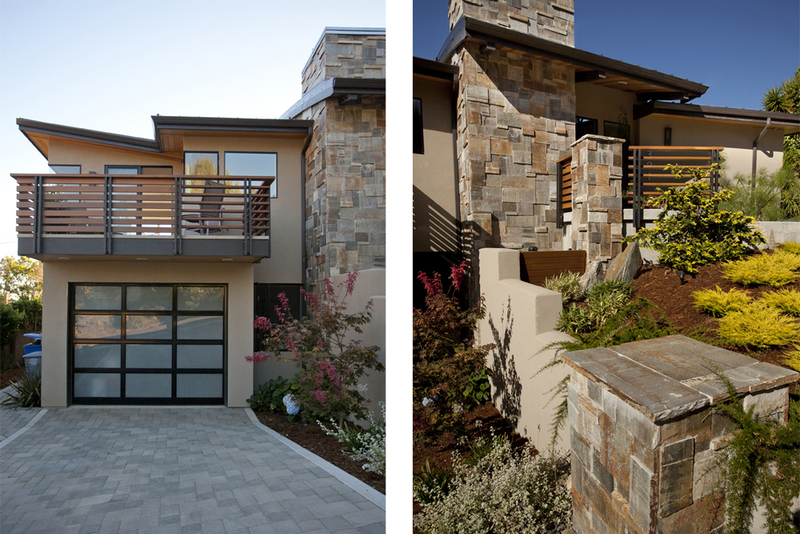 The home terraces down the 25% sloped site with expansive cantilevered decks and outdoor living spaces on both the West and East sides. A morning deck is perched on the East face of the building, offering a warm and sunny location for the residents to enjoy a morning cup of coffee. 9 foot windows and doors open up to the West deck providing a large space for casual outdoor entertaining and unobstructed views of Bishop Peak and Madonna Mountain. Due to the severity of the site’s slope, the challenge was to fit the tandem 2 car garage below the main living spaces without significantly increasing the vertical height of the building. The solution was found in a curved roof form supported by locally custom fabricated trusses. 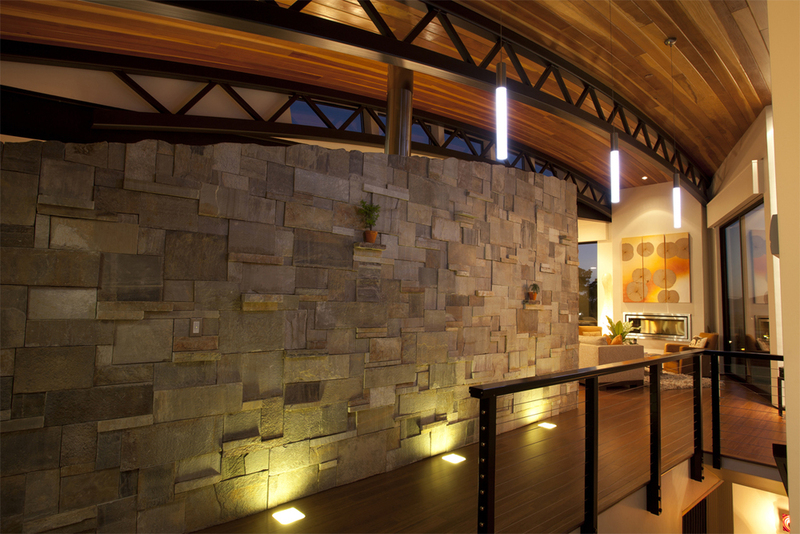 A stone clad spine wall runs through the home, helping to define the residents’ public and private spaces.